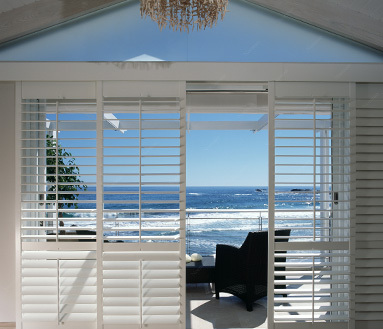 Santé Fe’s range of contemporary shutters provide an elegant, functional interior window covering that frames your view, or block it outs, depending on your mood. Because Santé Fe shutters are custom made, there are virtually no limits to the shape or configuration that’s possible. Awkward corners and unusually shaped windows can be covered with ease. As well as looking great, Santé Fe shutters are extremely durable and come with a 3 year warranty.